Our 5mph and 10mph speed bump kits are easy to install, durable and is an excellent way to slow vehicles where safety is paramount. 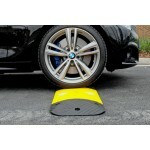 The 50mm (10mph) Speed Bump Kit is the most popular speed bump, which can be comfortably crossed at safe speeds below 10mph. 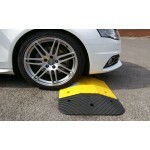 The 75mm (5mph) Speed Bump Kit is excellent for areas which require slow speeds of 5mph and safety is paramount.